Face-to-face communication is both the past and the future of public relations, providing consistently high results, unparalleled brand backdrops, and exceptional deepening of relationships. Between a pair of Icelandic volcanoes. On the floor of a working American factory. In the dining car of a Canadian Rockies railway. Across a desk on a newspaper floor. Since our founding in 2001, Pale Morning Media has crafted dozens of experiential settings for our client partners, delivering consistently high results along the way. Simple or grand, these handcrafted experiences provide the human counterbalance to the ongoing digital storytelling of our communications programs. Destination product testing trip for backpacks, tents and footwear. 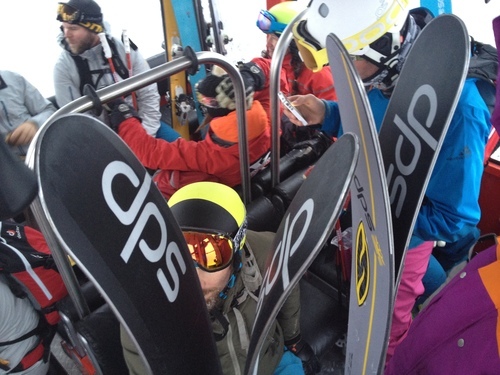 Media testing session for skis, boots and apparel. Apparel showroom in customized suite. Hunting knife launch and media testing session. Backcountry ski, boot and apparel testing session. Our kind of board meeting.